Mobile: Enter your mobile phone number to receive your $5 Off $50 coupon via text on your smart phone. In Store: You can get another $5 home depot coupon by signing up for at advantage home depot. In Store & Online: Take a look at all the latest deals and specials. Printable: Join their garden club for a $5 discount on your next purchase at home depot stores, they will email you coupon instantly. In Store & Online: Get on their movers list to get a 10% coupon. If you want to save money at home depot, ebay is a must look. Get home depot coupons and gift cards at a small fraction of the price. Online Only Deals: Home Depot's Easter Special! No coupons are required. Spend over $396 to get free delivery. Note: Home Depot has this promotion only a few times a year, great time buy and save if you need appliances. Print coupons for up to $2 off Bounty paper towels, Lysol wipes, microfiber clothes, baking soda, scrub sponge, dishwasher tablets, disinfectants, kitchen trash bags, air fresheners & more plus enjoy a 10% discount on Toter trash cans. 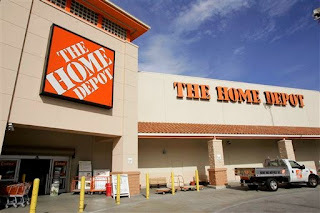 Home Depot's warehouse-style stores offer home improvement and construction products at competitive prices for the do-it-yourself consumer. Whether you are building, renovating or decorating, you'll find everything you need to make your project a success! If you require assistance, installation, tool &amp; truck rental, contractor and moving services are available at Home Depot. Save more on your purchase with these Home Depot coupons.